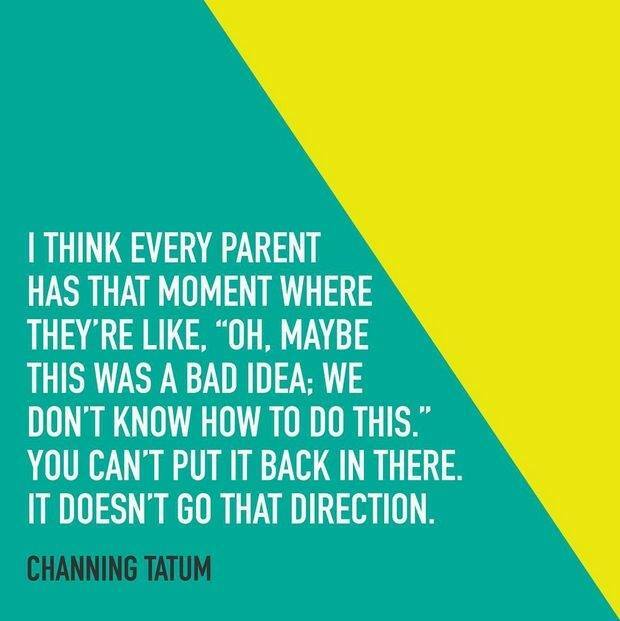 I THINK EVERY PARENT HAS THAT MOMENT WHERE THEYRE LIKE, OH - ProudMummy.com the Web's Community for Mums. I THINK EVERY PARENT HAS THAT MOMENT WHERE THEY'RE LIKE, "OH, MAYBE THIS WAS A BAD IDEA; WE DON'T KNOW HOW TO DO THIS." YOU CAN'T PUT IT BACK IN THERE IT DOESN'T GO THAT DIRECTION.